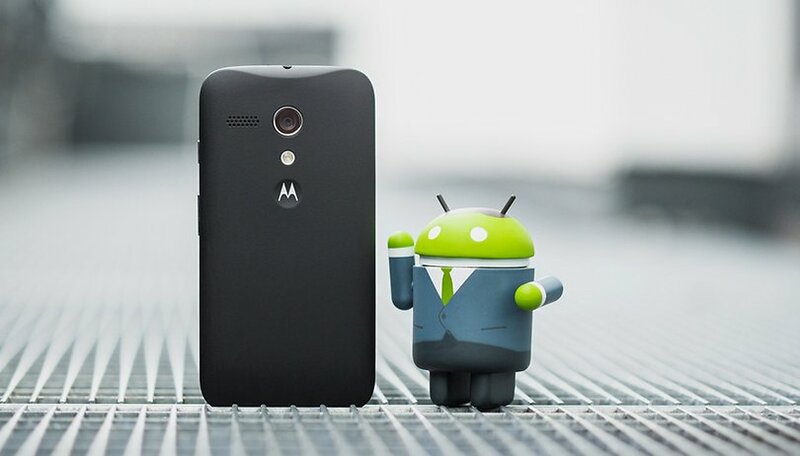 We loved the original Moto G here at AndroidPIT. It represented a total revolution in what you could expect from a phone that cost less than two hundred bucks. But a few years after its release, you might have noticed that your Moto G has started to slow down a little, despite its near-stock Android interface. Here's how to speed up the Moto G (2013) for better performance. If you Moto G (2013) is generally sluggish, there may be too many widgets syncing and updating on your home screens. Even when you're not on a particular home screen, widgets can be continiously pushing data up and down, consuming system resources. So get rid of any widgets that you don't actually use. There's a reason why app developers are constantly updating their apps. Each update not only brings security and stability fixes, it also usually improves performance. The more up-to-date your apps are, the more likely your system will be running at its peak. So go find yourself some Wi-Fi and update your old apps. There are two caches on your phone: one for apps and one for the system itself. The app cache temporarily stores data to make launching apps faster, but it can get a bit clogged up over time. Clearing the app cache is a bit like an F1 car pulling into the pits: it may seem to slow things down but it makes everything faster in the long run. Just go to Settings > Apps to clear an app's individual cache or go to Settings > Storage and clear the Cached Data section to clear the caches of all your apps at once. To clear the system cache, you'll need to reboot into Recovery Mode. Turn your Moto G off, press and hold Power and Volume Down and then use the Volume Down button to highlight 'Recovery' and press Volume Up. You'll see the open Android screen where you need to press and hold the Volume Up button and then press the Power button and release both. You'll now see the Recovery Mode menu. Use the volume buttons to highlight 'wipe cache partition' and press the Power button to clear the system cache. One of the simplest ways to make your Android experience faster is to simply delete some stuff you don't need on your phone. If your Moto G (2013) has bunches off apps that you haven't used in months, delete them. Check your Downloads folder and delete anything you no longer need. The same goes for photos or videos you don't need on your phone anymore, as well as temporary files. You should clear them all out regularly. Freeing up space reduces pressure on RAM and system resources, helping your phone run faster. RAM is another big factor where a the speed of your phone is concerned. If your phone doesn't have heaps of RAM – which the Moto G (2013) doesn't – then make sure it's only dealing with the apps it needs to. Some apps are huge RAM hogs. To see the worst offenders, go to your Developer Options and Process Stats. Tapping individual apps in the list will show you how much RAM it uses. If it's not an essential (or there are more efficient alternatives), consider switching. You can also download system monitoring apps to identify memory and battery suckers. This is sleight-of-hand trick really, but it makes your phone feel faster, even if it doesn't actually speed things up. Disabling the various animations on your Moto G will make swiping between home screens faster, launching apps snappier and add a sense of speed to pop-ups and menus. To do this, you need to enable Developer Options (go to Settings > About Phone and tap Build Number seven times) and then, in the Developer Options, scroll down until you see Window Animation Scale and Animation Duration Scale. Turn both of these off or set them lower than they currently are. For an explanation of what they do, read this. This is the last-ditch solution. If you've tried everything you can think of and your Moto G (2013) is still not as fast as it should be, a factory reset can generally solve most problems. Reseting following an Android update a reset is wise too, as it avoids an awful lot of the bugs that usually plague recently updated hones. Of course, you'll need to back up everything first, but the process is simple and a good habit to get into. Is your Moto G (2013) as fast as ever? What else do you do to keep it running smoothly? Let us know in the comments. To speed up mobile phone, I would like to use android data cleaner app to free up some space by cleaning up unwanted files from it. And as we all know, with more space freed up on your Android device, the faster your Android phone will run. Excellent advices, they work alot, the best is "disable animations" when I implement it my phone came to life again. I have installed Cyanogenmod 12.1 and it works great! Convert it to Google Play Edition. Not only it will speed you the 2013 Moto G but also grant faster Android updates!